The Outline to Wrenrock graphics, affectionately named the “PolyWobble”, is a unique design. 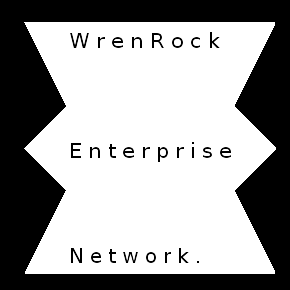 A distinguising graphical device to which wrenrock.org and it’s owner claims copyright over, 2018. It is devised as a dynamic design to portray an energetic image. Whilst seeming almost doodle-ish in it’s appearance, it is in fact, a precisely structured polygon. It may fool the eye into thinking it is uneven, though that appearance is an optical illusion that is adopted and enjoyed by the Owner of wrenrock in extension to their manifesto. On an aside, it rather moves me to think of it as a Tree.